The Reverend is an honorific style most often placed before the names of Christian clergy and ministers. There are sometimes differences in the way the style is used in different countries and church traditions. The Reverend is correctly called a style but is often and in some dictionaries called a title, form of address or title of respect. The style is also sometimes used by leaders in non-Christian religions such as Judaism and Buddhism. Prince of the United Kingdom of Great Britain and Northern Ireland is a royal title normally granted to sons and grandsons of reigning and past British monarchs. It is also held by the Duke of Edinburgh, husband of Queen Elizabeth II. 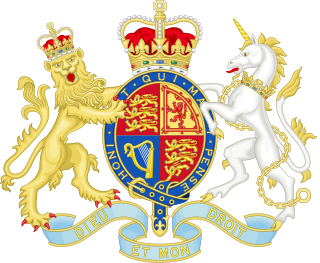 The title is granted by the reigning monarch, who is the fount of all honours, through the issuing of letters patent as an expression of the royal will. In the English language, an English honorific is a form of address indicating respect. These can be titles prefixing a person's name, e.g. : Mr, Mrs, Miss, Ms, Mx, Sir, Dr, Lady or Lord, or titles or positions that can appear as a form of address without the person's name, as in Mr President, General, Captain, Father, Doctor or Earl. His Eminence is a style of reference for high nobility, still in use in various religious contexts. The Diocese of Waterford and Lismore is a Roman Catholic diocese in southern Ireland. It is one of six suffragan dioceses in the ecclesiastical province of Cashel and is subject to the Archbishop of Cashel and Emly. The Reverend Dr. Alphonsus Cullinan, previously serving as a pastor in Rathkeale, Ireland, in the Roman Catholic Diocese of Limerick, was installed Bishop of the Diocese of Waterford and Lismore on 12 April 2015. The Bishop Emeritus is William Lee.